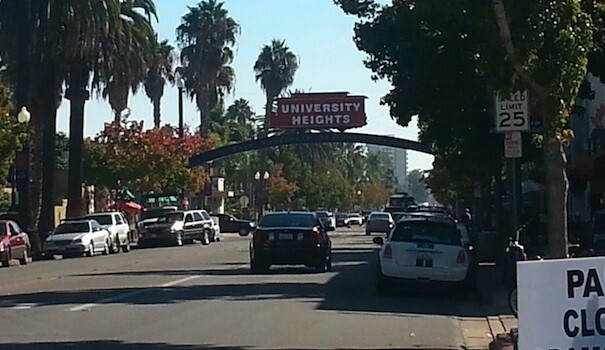 University Heights is a 125-year-old community made up of historic homes, businesses old and new, and a neighborhood rich with cultural dynamics. 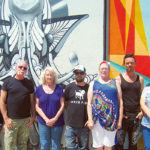 Alongside the long stretch of Park Boulevard are vendors and neighbors that have created a niche for themselves, defining their own, carving out that which defines them and although a part of the San Diego community at large, University Heights has established their own definition of arts, food and culture. 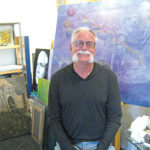 Beginning eight years ago, Judy Riffle, an organizer with the University Heights Arts Association, initially began this community event as an open studio to allow local artists in the area an opportunity to showcase their work in a personal way by opening their homes and studios to the public. Five years ago, Riffle decided to combine the artist showcases with a taste event, to allow a new audience and highlight the various restaurants and other venues within the community. Although a small locality, University Heights is filled with more than what meets the eye at a quick glance. Restaurants, art studios and coffee shops are all humbly spread up and down Park and El Cajon Boulevards that are surely missed when not looking. “People enjoy the open studio tours and patrons have enjoyed it being a more personal experience,” Riffle explained. 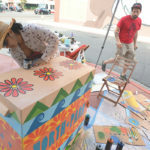 A variety of established and expanding businesses participated in the day’s successful event that offered a collective of colorful and entertaining experiences. 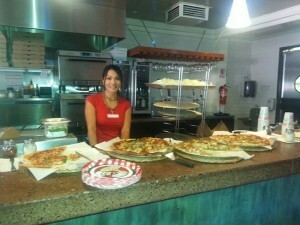 Among the many establishments that participated was Red House Pizza, which is celebrating its second year in business. They have pizzas that are named after some of the streets in the University Heights area. One of their most popular pizzas is the Park–vegetarian pizza prepared for the most health-conscious of pizza consumers–topped with broccoli, roasted roma tomato, zucchini, caramelized onion, and olives. They also serve up a mean gluten-free variety of pizza and pasta. Also worth mentioning is the friendly staff working that day: Upbeat server Sarah Twamley and Chef Cindi Hoang brought customer service and the pizza experience to a new plateau. This hospitable bistro offers a new experience that tenders a curious exploration into what the neighborhood has to offer. Yeager has filled many different roles in San Diego’s theater community, also working as a professor of Theater at Southwestern College. His most successful play locally has been Bronze, which won the San Diego Theater Critics Circle Award in 2006 for best new play. 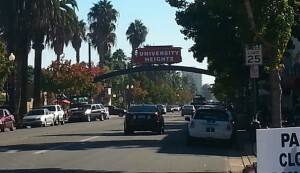 University Heights contains hidden gems and a historic culture within the entirety of all that San Diego presents. Along the streets, there are places for every palate and every walk of life, ranging from restaurants and coffee shops to art galleries. Spend a day devouring what all things old, new and eclectic that this flourishing community has to offer. 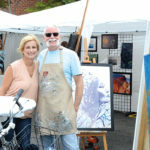 For a complete list of the vendors and artists that participated in the University Heights Arts Open – Taste of University Heights, go to: bestofuniversityheights.com. Volunteers are what make this event successful and Riffle is always open to inquiries. Contact Riffle at contact@uharts.org on how to volunteer. 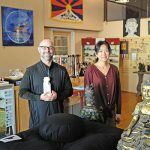 For more information on future events visit uharts.org.